The absolute best part of the original Jeepers Creepers was that it starred Justin Long as some sort of fratty, navel tatted hero, who [SPOILER ALERT] ends up as a creepy human skinsuit in the monster's lair. And now they are making a Jeepers Creepers 3, fingers crossed they get some use out of the old Long corpse. Jeepers Creepers is about a monster who appears every 23rd spring and hunts (people) for 23 straight days. Each victim is stripped of an important part of their body which the monster collects for himself so he can regenerate (Long's peepers were the items the monster coveted in the first film). The fame of the first film brought a sequel, and now Shock Til You Drop is reporting that Jeepers Creepers 3 is gaining momentum and original director Victor Salva was quoted saying, "There may finally be some very good news for those waiting for the third Jeepers film to go before the cameras." Plus there was some alleged off-the-record chat — which basically means we think it's happening. 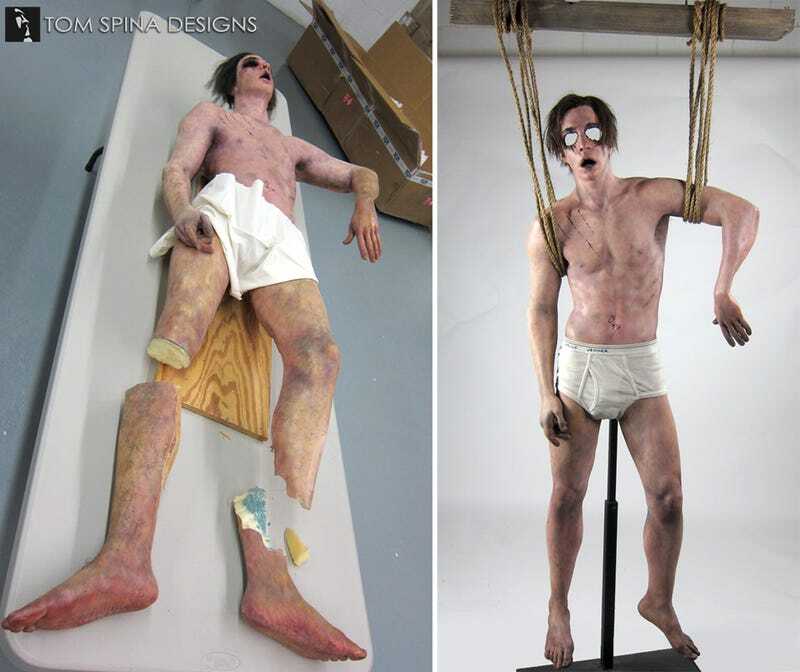 Which gives me an excuse to post these completely bizarro pictures of Justin Long's eyeless corpse prop. Happy Friday everyone! Prop restoration and images from Tom Spina Designs.